You never know what might happen on an engagement shoot. In this case, a rogue wave came out of nowhere and covered my tiny bride in water. Her dress was soaked, so we had to do Part 2 another day. I still love this photos, and it's one of my favorites from both shoots. 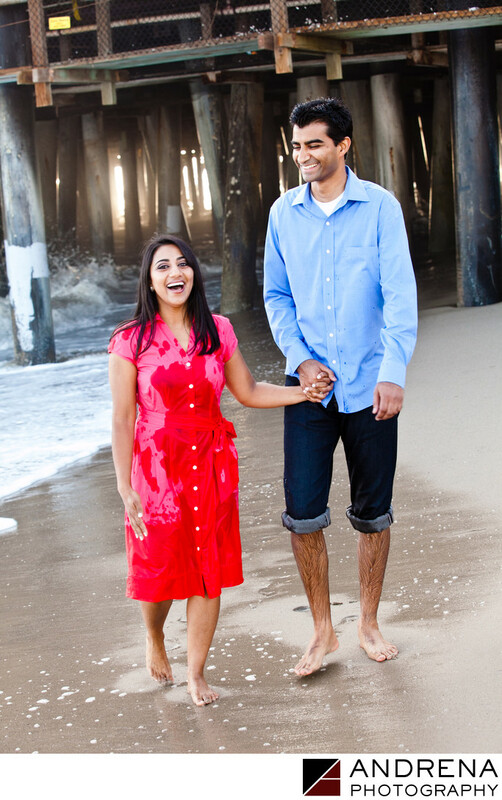 Engagement session photographed at the Santa Monica Pier in Southern California.